Porsche introduced us to their 4 Motorsport Junior finalists earlier this year. Today, they announced the two winners: 21-year-old Australian Matt Campbell and 18-year-old Thomas Preining from Austria. Both will receive substantial support from Porsche for their 2017 motorsport season. 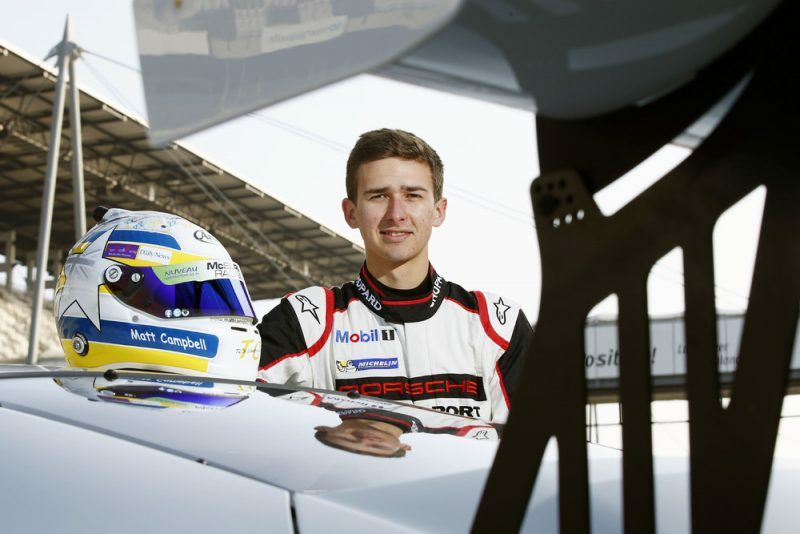 Campbell will race in the Porsche Mobil 1 Supercup – the international Porsche one-make series run as support to Formula 1. As part of the support from Porsche he receives a total of 200,000 Euros. Preining will run in Porsche Carrera Cup Deutschland - run as support to the DTM. He receives 150,000 Euros toward his campaign. In addition to the financial help, each driver receives mentoring during every race weekend as well as support and training in fitness, mental preparation and media matters. Both Porsche juniors take up their respective race series in the new 485 hp Porsche 911 GT3 Cup. Matt won the 2016 title in the Porsche Carrera Cup Australia and beat eight other candidates from China, France, Great Britain, Italy, Japan, Canada, Sweden and Singapore at an international shoot-out. Campbell grew up in Warwick (Queensland), a small town with around 15,000 inhabitants. His grandfather used to be the chairman of the local karting club and his parent’s house was just a few hundred meters away from Morgan Park Raceway. Over the years, the small racetrack was lengthened to three kilometers and after several seasons racing single-seaters and in the national Porsche one-make race series, Campbell had the opportunity to work as an instructor in conjunction with his racing commitments. Matt Campbell very much enjoys keeping fit on his bike, his favorite meal is spaghetti Bolognese and he calls Porsche factory driver Earl Bamber as his role model. Thomas took part in a two-stage selection program for the Porsche Carrera Cup Deutschland, for which more than one hundred drivers had applied. Preining comes from Linz in Austria and began his motorsport career in karting. In the 2016 season he contested his first full year in single-seaters. He competed in the ADAC Formula 4, secured two victories in the fiercely-contested junior series, and finished his season fourth overall. The fitness fanatic inherited his speed from his father, Andreas, who raced a 250cc motorbike in the Motorcycle World Championship in the nineties. If young Preining is not at the gym or out running, he likes to sit in front of a simulator at his parent’s home.